In Agent Console, the new help menu provides access to FAQ questions, links to our user guides, and 8x8, Inc. Support. You can send your feedback directly, attach images or debug logs from the Help menu. Go to Menu > Help > Send Feedback. 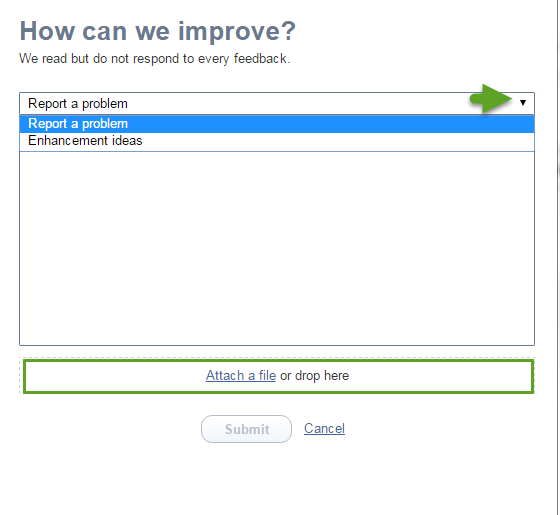 Select an option from the drop-down menu: Report a problem or Enhancement ideas. Write a description and click Attach a file. Choose an image file from your computer directory. You can also drag and drop the file to the attachment box. A log file is automatically sent to our developers. Disclaimer: While we rely on your feedback and suggestions to improve our products, we do not guarantee a response from our developers. As always, we are committed to serving you better.